Broken Record: The World’s Largest Electronic Keyboard Ensemble! 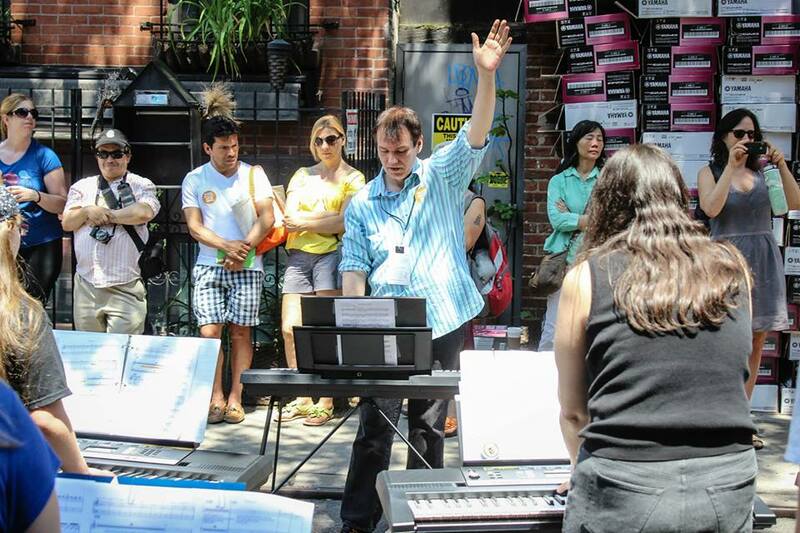 On June 21st, 2013, Make Music New York presented the world premiere of Jed Distler’s Broken Record, a piece composed for 175 battery-powered Yamaha keyboards and one Yamaha acoustic grand piano on Cornelia Street in the West Village. This was a special featured event as part of Make Music New York’s popular Mass Appeal series. Players included luminaries of the piano world, local amateur pianists, school children, and city officials. 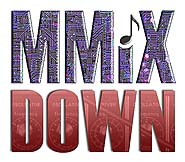 Highlighted guests: Eleonor Sandresky, Kathleen Supové, Gene Pritsker, Patrick Grant, Joseph Pehrson, Simon Mulligan, Andrew Byrne, Robert Paterson, Victoria Paterson, Taka Kigawa, Stephen Gosling, Darynn Zimmer, Molly Mokorski, Alexandra Honigsberg, Tristan McKay, 15 year-old Christopher McGinnis and many (many) more. 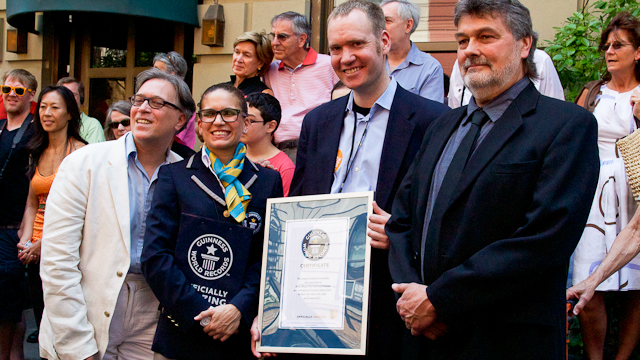 This performance set a new Guinness Book record for the world’s largest keyboard ensemble. 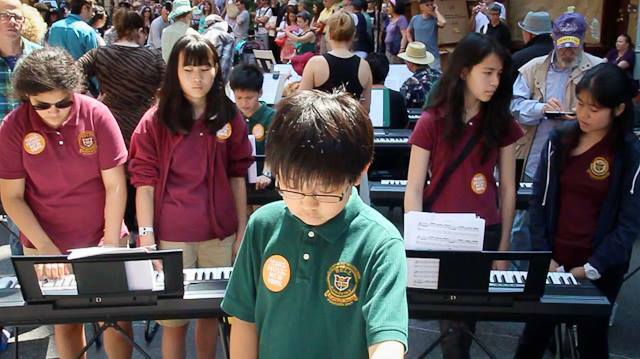 Following the event, Yamaha will donate all of the keyboards to the New York City Department of Education. “Broken Record” was produced in collaboration with ComposersCollaborative Inc, Peppergreen Media, the Cornelia Street Café, Yamaha and Viacom.